It's no secret I love to eat as well as a love of cooking. But, I'm no baker and I have no problem admitting that. I'd rather leave that to the experts and gladly pay for their wares. I think I would have as much patience trying to make a macaron as driving down #3 Road during rush hour (although snacking on macarons during that would greatly alleviate much grief). 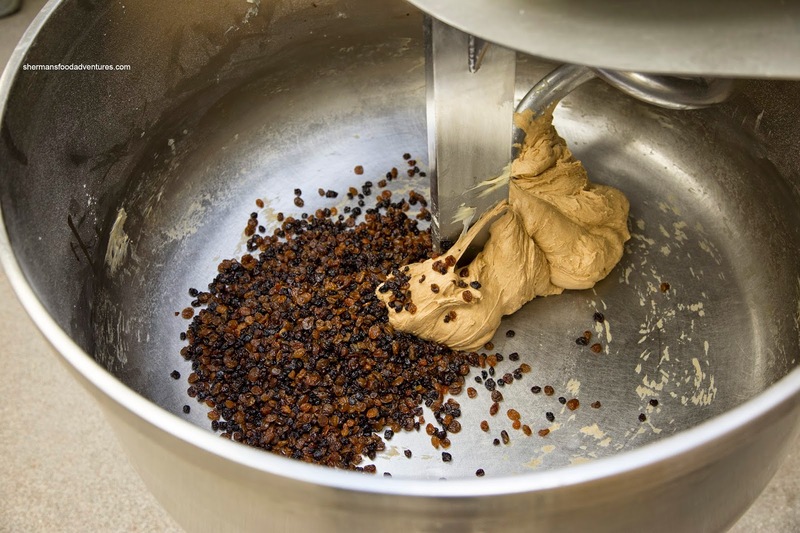 So when Cobs Bread came-a-calling with an invite to bake some hot cross buns as well as cinnamon buns, I though it would be a good chance to experience the process. I met up with the owner, Scott, who demonstrated the process of making the great stuff that Cobs is known for. As always, everything is made fresh for each day and all unsold products (except with cheese) are donated. We started making the hot cross buns first and I was taken aback at the fruit-to-dough ratio. Suffice to say, the final product wasn't going to be longing for sweet raisins. 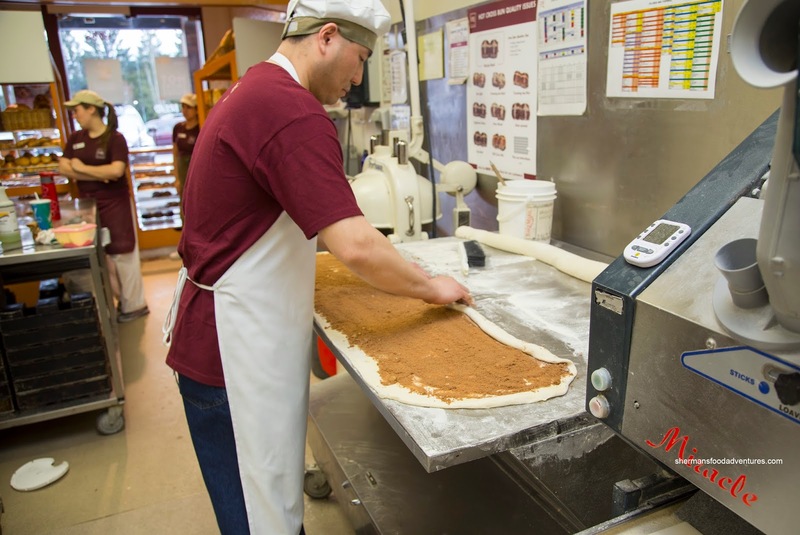 I got to help out when it came time for the cinnamon buns. Let's just say my rolling pin skills were akin to Tegan & Sarah's singing at the Heritage Classic. We put the cut buns for a quick proof and then off to the oven. This whole process took over 2 hours. The final results were pretty good as evidenced in the pictures. 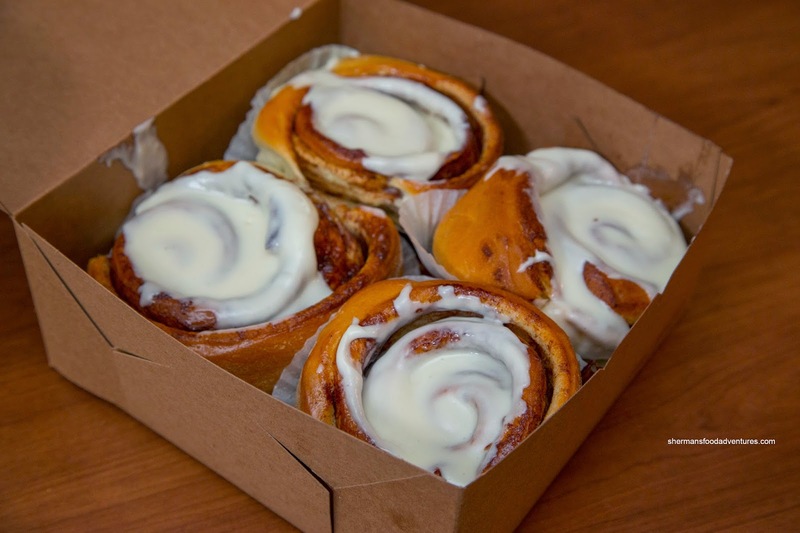 Unlike Cinnabon, the Cinnamon Buns at Cobs are more "bread-like", hence these were chewy and less "melt-in-your-mouth". I personally prefer more bread-like as cinnamon buns are already sinful enough without the addition of even more butter. With these, the ooey gooey cinnamon and sugar along with the cream cheese icing ensured that there was ample sweetness. As for the Hot Cross Buns, the large raisin content presented itself with every bite. There was a hit of sweetness to go with the chewy buns. With that being said, they weren't shockingly sweet as the dough itself was not overly sugary. On a separate personal visit, I picked up a loaf of Whole Wheat Bread and a Mini-Focaccia. 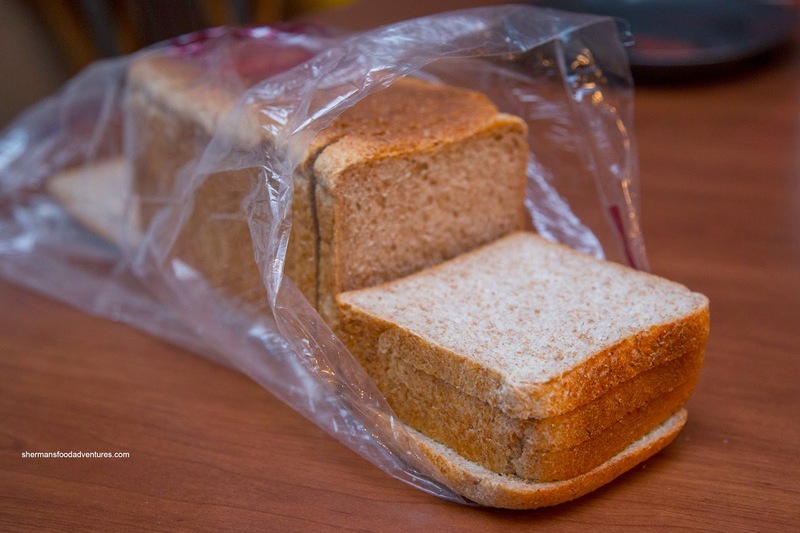 For the price, a loaf of freshly-baked bread is not any more expensive than buying at a grocery store. Only negative is that they won't last as long. And I really don't have to tell you that fresh-baked bread is always better (assuming it is not messed up). 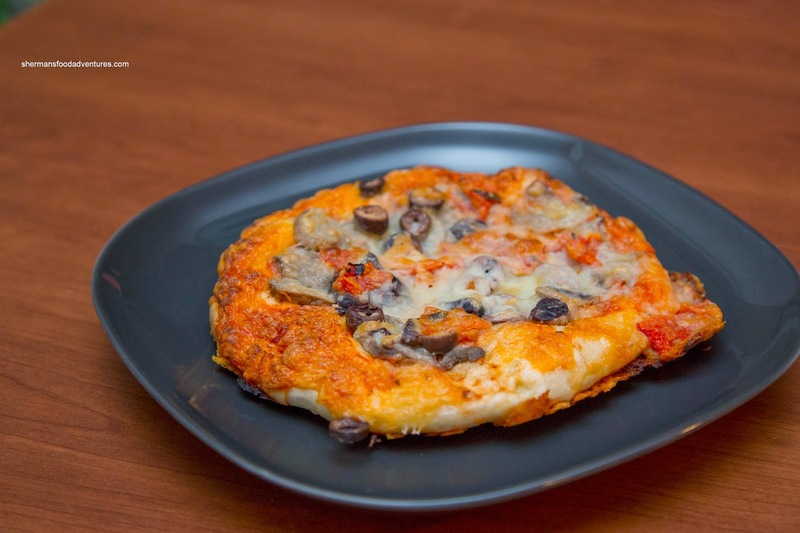 As for the focaccia, I liked the crispy texture (after a quick visit to the oven) and the ample amount of toppings. However, my wish is that they do away with the canned mushrooms as they have this aftertaste. 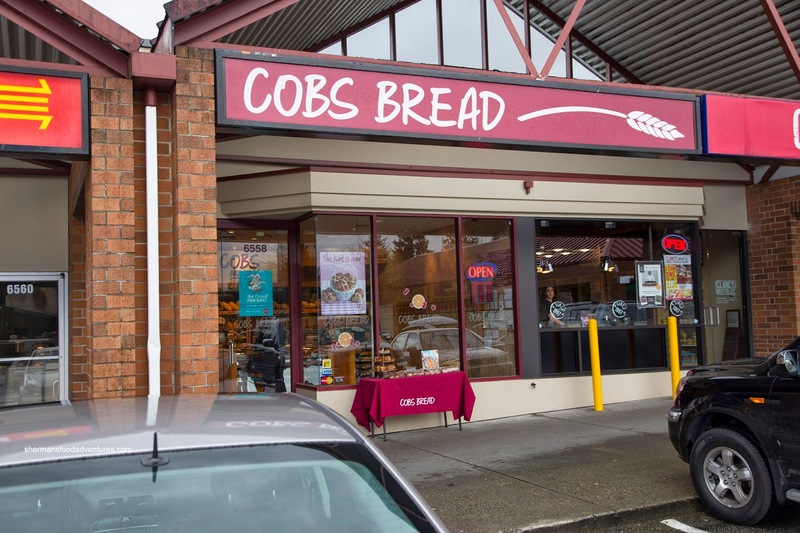 Despite this, many of the items I've purchased at Cobs in the past have been good and it continues to be my local go-to place for baked goods. I just don't plan on making it as a baker though, I'll leave it up to the professionals. 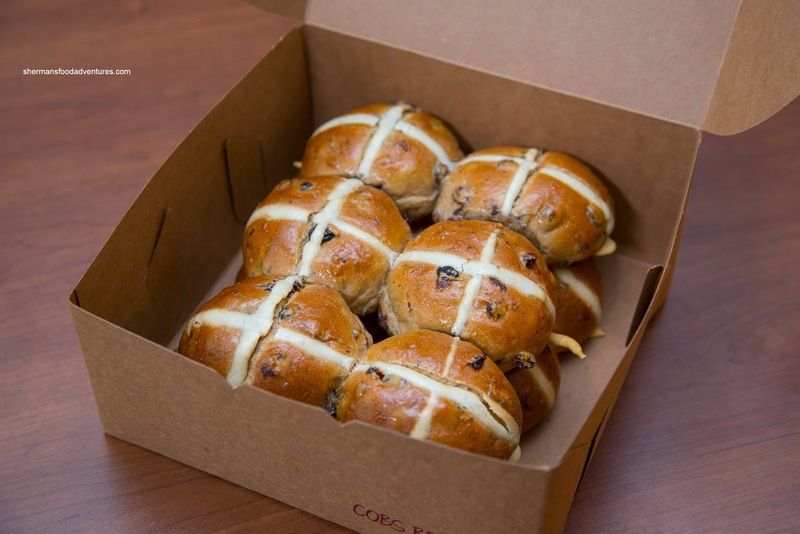 I see on Cobs website that they also have cranberry orange hot cross buns. That sounds really good! Did you get a chance to try those?